Technology impacts and benefits customers in every aspect of their lives. As customers embrace technology, their expectations rise, and with technology impacting customers at an exponential rate, their demands for service are rising exponentially too. In an industry with real concerns about the cost model, the challenge will be to find operational efficiencies that increase revenue while remaining competitive. The big move throughout the industry is towards a servitization business model that engages the customer in end-to-end delivery and upsells the customer at the point of service. 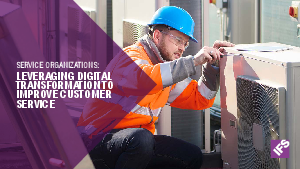 This eBook analyses the impact of technology on the service industry, outlining ways in which field service software can better deliver on customer expectations.